This can be a scary, stressful time for patients, particularly because there are so many unanswered questions. One thing you can do to help your decision process and reduce your anxiety is to become more informed and have a better understanding of infertility. There are a number of factors that can affect one’s ability to reproduce, such as a woman’s age, the consumption of alcohol and even a low body mass index. The ideal age for conception is between 25 and 35 years of age. There are now many new fertility treatment options available for older women. Women with a low body mass index (typically, less than 85% of their normal "BMI") have a more difficult with conception and starting a family. 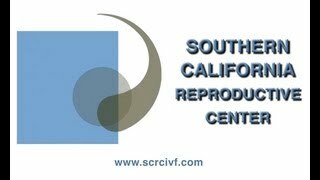 SCRC offers a wide variety of fertility treatments and IVF is not the only option. Don't delay a visit to a fertility specialist if you have difficulty conceiving. More than 7 million couple encounter a fertility issue and can place a good deal of stress on relationships with each other. Heavy consumption has been associated with increased rates of menstrual abnormality, miscarriage, and harmful effects on the fetus. Surrogacy involves a third-party carrying the pregnancy for intended parents when their bodies are incapable of doing so. It is SCRC’s goal to provide you with a place where you can find out more about your infertility diagnosis, understand the difference between IVF and other infertility treatment options. Every month we will be adding new content to this resource center. If you would like to be notified when there is something new, you can click here to send us an email to put you on the notification list. If you have any questions or need information on a topic that isn’t here, give us a call. Anyone on our staff would be more than happy to help you. Are there different types of infertility? Yes, says Mark Surrey, M.D., Medical Director and co-founder of Southern California Reproductive Center. Dr. Surrey explains some women have a type of infertility that prevents them from ever conceiving on their own, while others suffer from a secondary form of the condition. Q. What's New In Fertility Treatment? What new developments are available to help patients struggling with infertility? Mark Surrey, M.D., Medical Director and co-founder of Southern California Reproductive Center, describes the EmbryoScope, the newest technology to help patients at SCRC. Q. When Does Fertility Become an Issue? Infertility becomes an issue in a woman’s mid-thirties because the egg supply a woman is born with diminishes throughout her life.